The first teaser trailer for director John Krokidas’ Sundance hit Kill Your Darlings has landed online. The film focuses on the origins of the Beat movement and follows the volatile friendships of Allen Ginsberg (Daniel Radcliffe), Jack Kerouac (Jack Huston), William S. Burroughs (Ben Foster), and Lucien Carr (Dane DeHaan). This was hands-down one of the best films I saw at Sundance, and the pic features a pair of powerhouse performances from Radcliffe and DeHaan that absolutely deserve awards recognition later this year. Moreover, Kill Your Darlings announces Krokidas as a serious talent to watch in the coming years. This teaser footage is more of a promo for the film and not a proper trailer, but it’s a nice introduction to Krokidas’ style and the interplay between Ginsberg and Carr. I highly encourage you to seek this one out when it hits theaters. Hit the jump to watch the teaser and click here to read Matt’s review. The film also stars Michael C. Hall, Elizabeth Olsen, David Cross, Jennifer Jason Leigh, and Kyra Sedgwick. 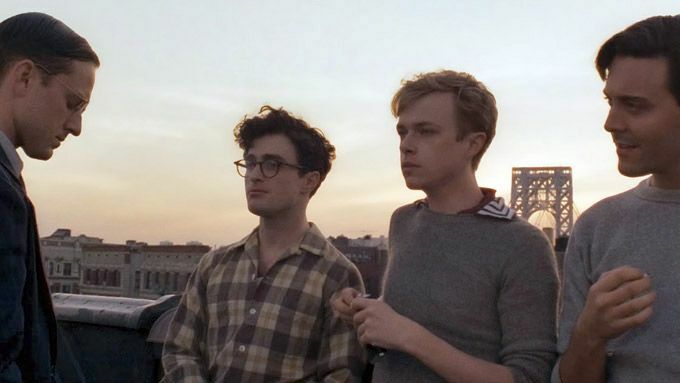 Kill Your Darlings opens in theaters on October 18th.